The Hermitage Apartments is an ideal choice for those looking to stay in spacious and comfortable rooms during their stay in Bangalore. 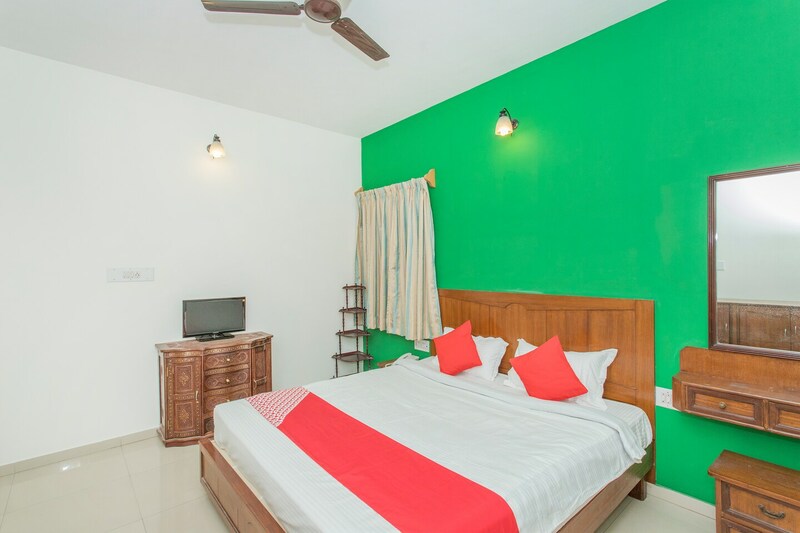 The rooms are done in light hues and are furnished with a wardrobe and wooden furniture. The decals on the wall look impressive and the wallpaper complements the overall decor of the room. The subtle light colours in the room creates a relaxing ambiance for the guests. The rooms also have a mini-fridge. The hotel has an in-house restaurant that serves yummy food. Other hotel facilities include parking space, laundry service, power backup and CCTV cameras.